Workforce Resources offers a variety of flexible staffing options to help you meet your production deadlines, meet your customer demands and manager your costs. Whether you need to quickly increase or decrease your workforce, we have a solution for you that will get you the talent you need, when you need them. Our experienced staff will listen to your staffing objectives and will work towards gaining an in-depth understanding of your business. Our goal is to work alongside your hiring team and mirror your hiring practices to generate results. Find an option today that fits your business needs! Quickly increase your staff for peak seasons, projects, summer and short term needs. The most cost effective way to hire the right employees. We will work alongside your hiring team to find, not just an employee who has the skills your are looking for, but who will be a great contribution to your workforce. Our recruiters are skilled in a wide range of recruiting resources. They strive to find creative solutions to source candidates and expand our outreach programs. 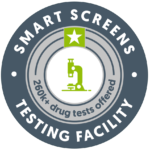 We now offer a SMART rapid drug test! For more information check out their website. We hire candidates in accordance with your criteria. By mirroring your screenings, our goal is that all employees will be eligible to be hired on. 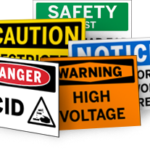 All workers complete a general safety awareness orientation and assessment prior to being placed at your facility. Our recruiters also conduct client specific safety orientations including videos, handbooks, PowerPoints, and questionnaires - reinforcing your safety initiatives. 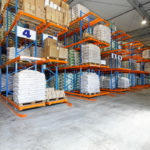 Workforce places candidates in a variety of industries including warehouse, distribution centers, production, manufacturing, skilled trades, construction, office, administrative and more. Request a quote today to learn about how we an service your industry!